We spend some time with Laura Hansen in the brewhouse of her Goodyear restaurant, Saddle Mountain Brewing Company. Laura shares the history of what led her and her husband Jacob to open this delicious and unique space in October of 2014. From the award winning brews, great food and chic restaurant decor all come with a story and a purpose. 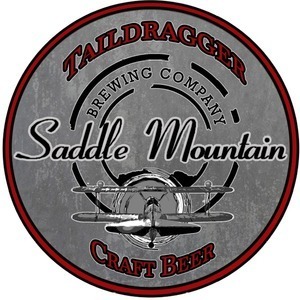 If you like beer and delicious food you’d be crazy to not check out Saddle Mountain again and again. In fact, after our interview with Laura we made sure to chase our beer flights with a couple of burgers and we’re glad we did. With great food and great beer all around you’ll be happy you decided to visit Saddle Mountain and make sure to stop by the Prop Shop for some local swag. When you visit be sure to say hello to Laura, Jacob or manager Panda and tell them the guys from ‘Not So Native’ sent you. Cheers!